In 1918 two Sisters of Saint Joseph came to Presentation B.V.M. Parish on Sundays to teach Sunday School. About fifty children attended these catechetical classes. As more children sought religious education, the Reverend John J. Moran saw a need for an elementary school. The cornerstone for a school was laid in September of 1925. The construction was completed in September of 1926, and the finished school was then blessed a dedicated. It was staffed by the Sisters of Saint Joseph. A convent was purchased at 105 Old Soldiers Road and occupied in August of 1926 to coincide with the opening of school that year. In September of 1926 Presentation B.V.M. School opened with 79 students in grades one through seven. Thus, graduation in June of 1934 saw the first class complete eight years of education at Presentation B.V.M. School. During the 1950s all parish buildings were at full capacity. In 1957 Father John J. Sefton was appointed pastor. He rightly could be called the “second founder” of Presentation B.V. M. Parish because he began the restructuring of the parish’s buildings. He built a combination Chapel-School and the convent. Reverend James F. Connor succeeded Monsignor Sefton as pastor in 1961. He completed the construction of a new rectory in 1963. Due to the growing school enrollment, it was necessary to divide the second floor of the Chapel- School into classrooms. This growth led to a need for a new church. 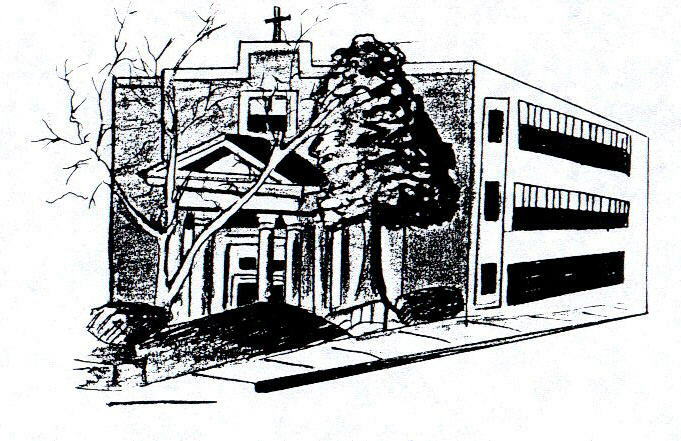 On May 12, 1966 the ground breaking ceremony took place at the site of the present church. Nineteen months later the building was completed. In 1982 Reverend Peter F. Cronin replaced Reverend James F. Connor as pastor. 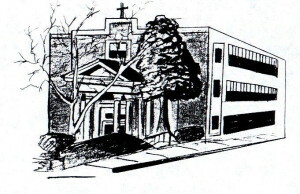 During Father Cronin’s pastorship, a new library building was added to the school. Reverend John J. Shelley came to Presentation BVM Parish as pastor in June of 1991. It was during Father Shelley’s tenure that our school saw significant growth. A self-study was begun in 1993 and completed in l995 with our school receiving accreditation from the Middle States Association of Schools and Colleges. During Father Shelley’s time at Presentation, the computer lab underwent major renovations and changes. The end result was a state of the art computer lab. This addition has enabled the students of Presentation BVM School to strengthen their skills in order to compete in a technological society. In 1999 Reverend William Harrison came to Presentation BVM Parish as pastor. We have seen much growth in our school including many technological advancements. We have been able to renew our infrastructure and install a state of the art wireless network. We have continued to meet and exceed many challenges with educating our youth today. We have maintained our Middle States Accreditation throughout the years.